will plot the exterior esdges but it will also plot the the interior edges. Is there a way to plot the exterior edges only? When you have a problem like this, learn how to investigate what you can do with the class. methods tells you what methods have been provided. Here, do any of them sound interesting? I hope so. So a fairly boring alpha shape, since all but one of the points were on the perimeter. Thanks John for the reply and for pointing out the "method'" trick. I usually have to go to the documentation to access this information. This way is more convenient. 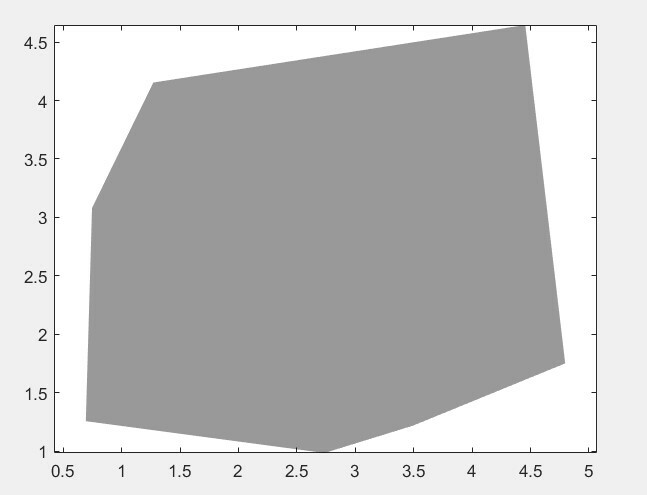 Now regarding plotting the edges of an aplhaShape, I am familiare with the approch you mentioned above but this approch end up plotting an array of points. 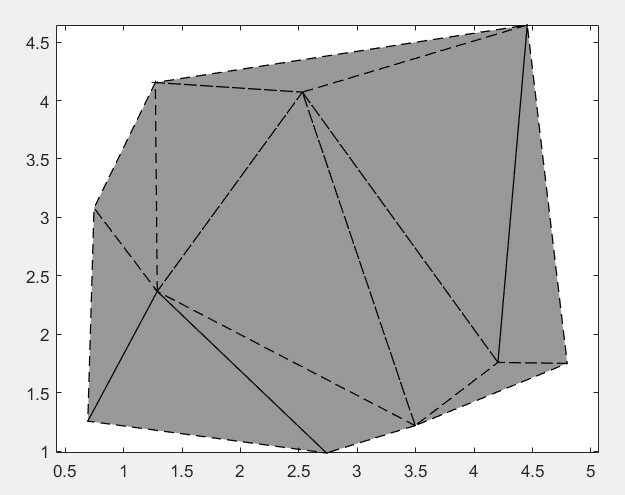 What I really want, which maybe I should have stressed in my question, is to still plot the alphaShape but only show the perimiter edges and not the interior edges. This is becuase later in the code, I take adavantage of alphaShape patch plotting properties such as "FaceColor" and "FaceAlpha". Do you know of a way to do this? Is that not exactly what I did? 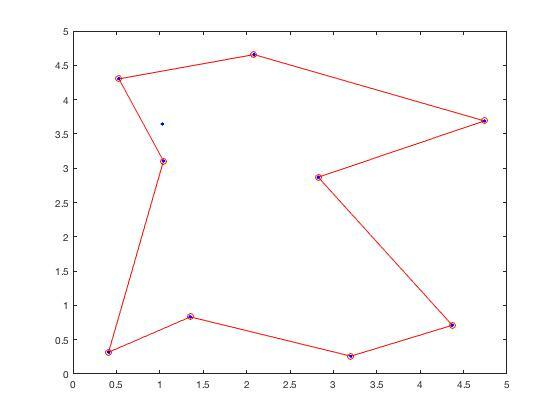 I plotted only the perimeter edges of the shape, and they were indeed ploted as edges. So what is the problem? Are you confused that I then plotted the original point set on top of the perimater too? What do you think the red lines are in the figure as plotted? I need to fill in the inside of the shape and not leave it blank. I usually do that by setting the "FaceColor" patch property when I plot it as an alphaShape but with this approch I can't do that unless you know of another way to do it. I obviously can plot the alphaShape with no edges and then just plot the perimeter edges as an array of points like you have shown. I just thought there might be a more straightforward way to manipulate the alphaShape plot command. You know how to plot the shape, filled, with NO edges. Do you know how to then add a second set of edges on top? So just then add the perimeter edges on top. Make them any color you wish.